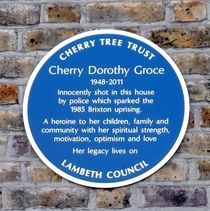 Cherry Dorothy Groce, 1948 - 2011, innocently shot in this house by police which sparked the 1985 Brixton uprising. 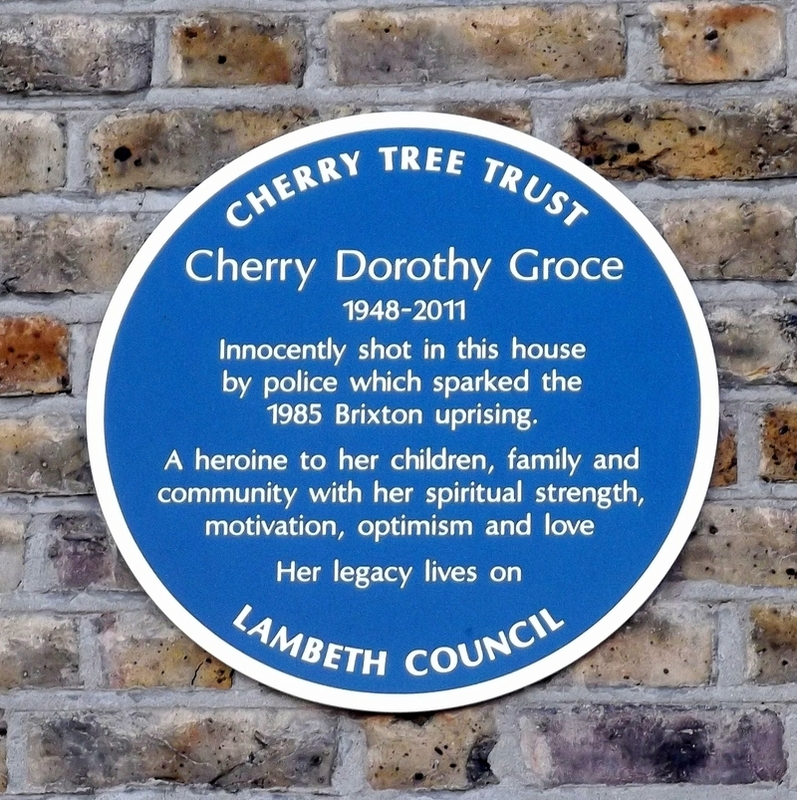 A heroine to her children, family and community with her spiritual strength, motivation, optimism and love. The doors are labelled "Prince Edward Theatre".